My trip to Nanded in Marathawada has to be one of the shortest trips I have ever been on. I took the Devagiri Express on Friday night, reached Nanded in the morning, spent the day there and took the train that evening back to Mumbai. 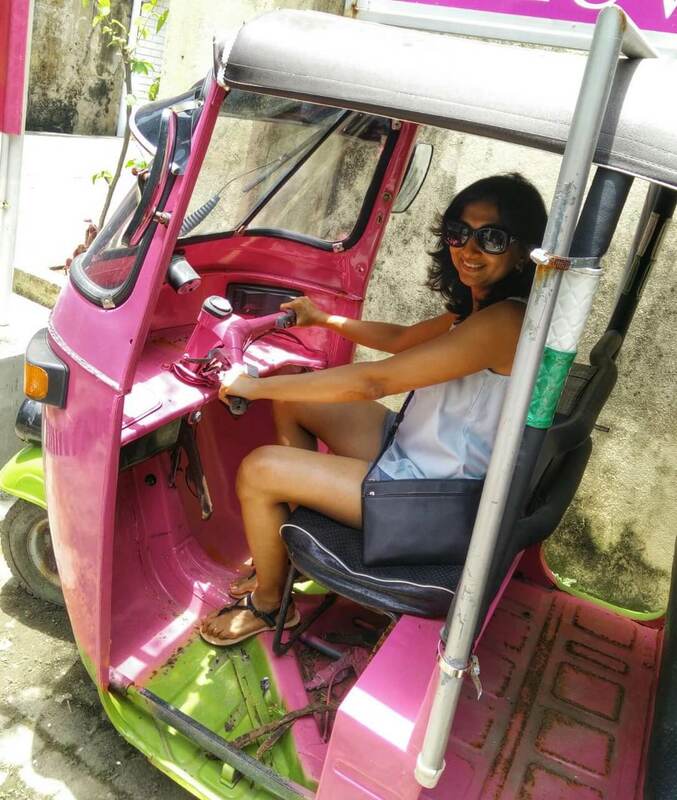 It was after a long time that I was travelling all by myself and I was going to Nanded to research an article that I am writing for a well known publication (I will share the article once its printed!). It was a 36 hour trip where I met some incredible people and had one of my most satisfying meals ever. Do you believe in callings and if things are meant to be, they will happen? 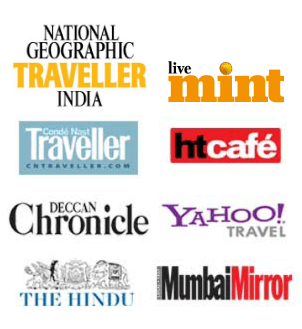 I have been planning a trip to Nanded for a while now, with close friends who introduced me to the place. I was intrigued that one of the holiest places of worship for the Sikhs was in the heartland of Maharashtra! The intent to visit was there, but the trip just wasn’t falling into place. The article was the perfect reason for me to just pack my bags and go, and that’s exactly what I did. My train was at 9:10 p.m. and my ticket got confirmed a few hours before departure time. We have had a long monsoon spell this year and when I reached Nanded it was pouring. I went to my hotel, dropped my bags, showered and headed straight to the gurudwara to make most of my time there. I saw bits and pieces of Nanded as I went about my day, but the sleepy city was rain soaked and looked rather weary. I planned to spend an hour or two at the gurudwara but ended up spending almost my entire day there. 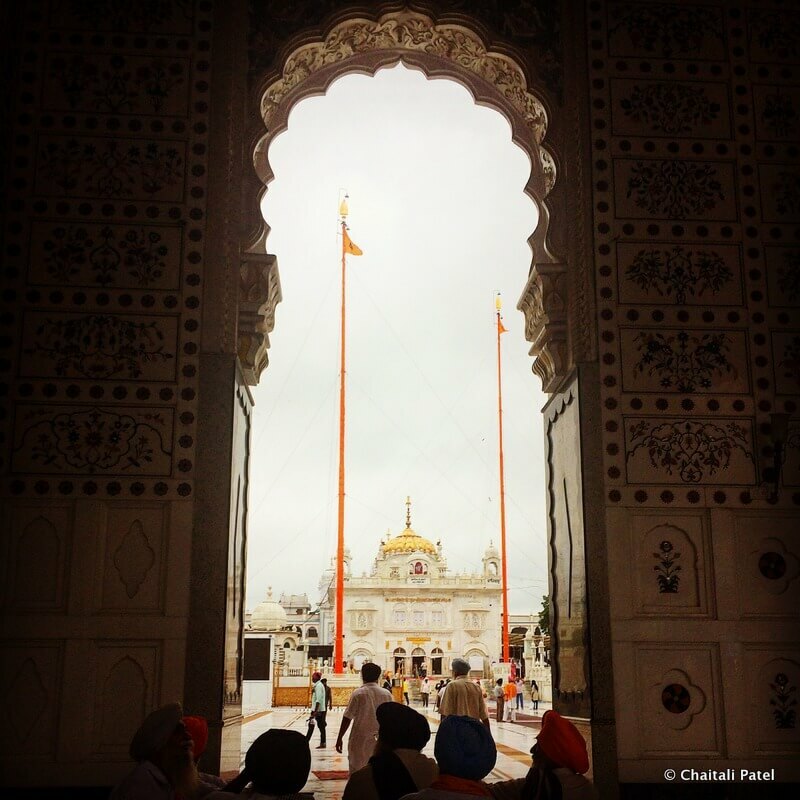 Steeped in history, legend and lore, Hazur Sahib, as its popularly referred too is a sight to behold. 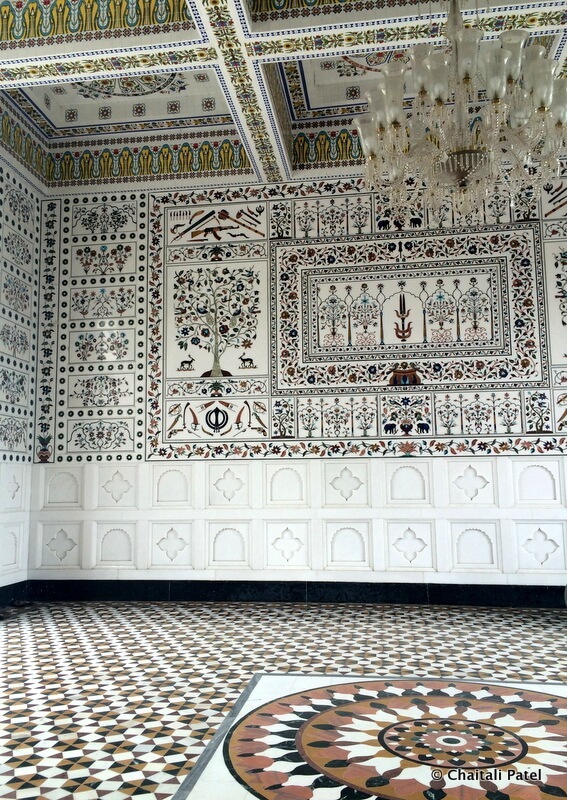 The complex has a couple of entrances each magnificently decorated with marble inlay work. The main shrine sits atop a raised platform and is built entirely of white marble. In the sanctum sanctorum the Guru Granth Sahib and Dasam Granth Sahib lay placed in golden palkis. 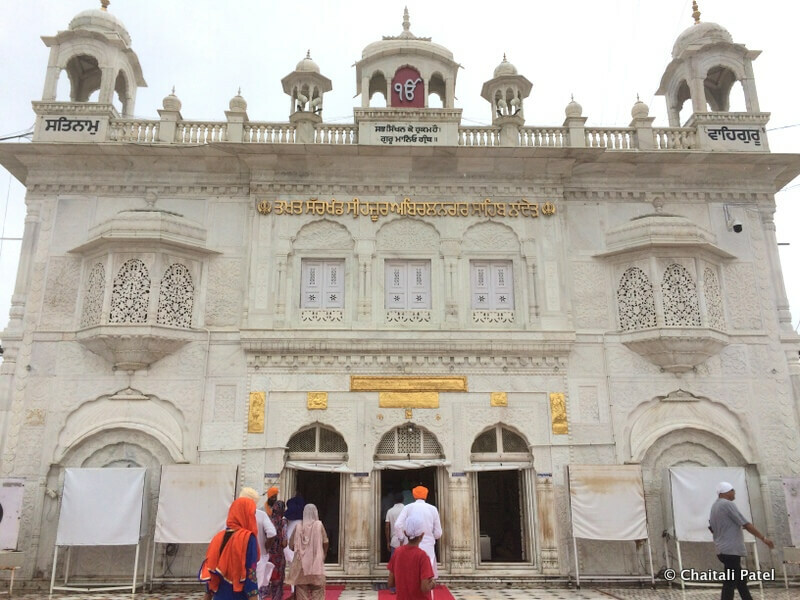 Built over the place where Guru Gobind Singh, the 10th guru of the Sikhs breathed his last in 1708; it was here that he declared that after him, the Guru Granth Sahib will be the eternal guru of the Sikhs. 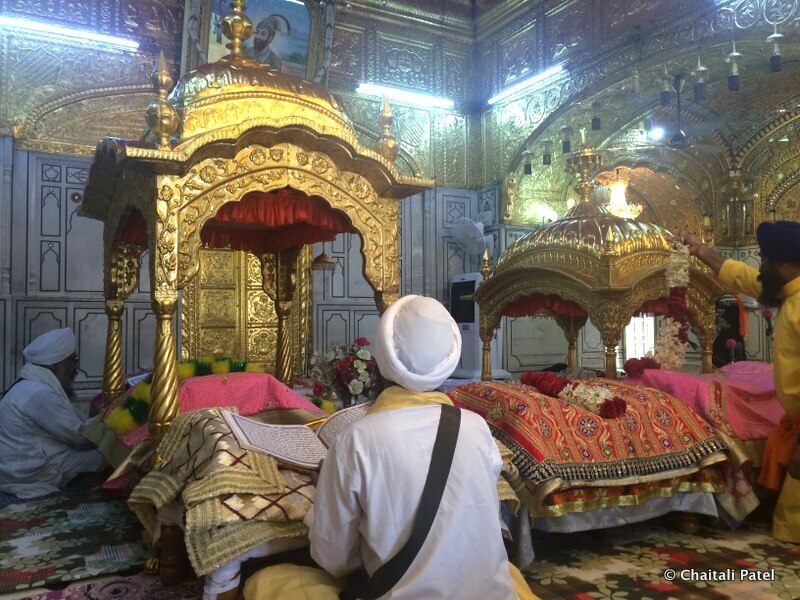 As devotees streamed in and out offering their prayers, pathees sat besides the palkis doing the akhand path – a continuous recitation of the Guru Granth Sahib that lasts over 48 hours. 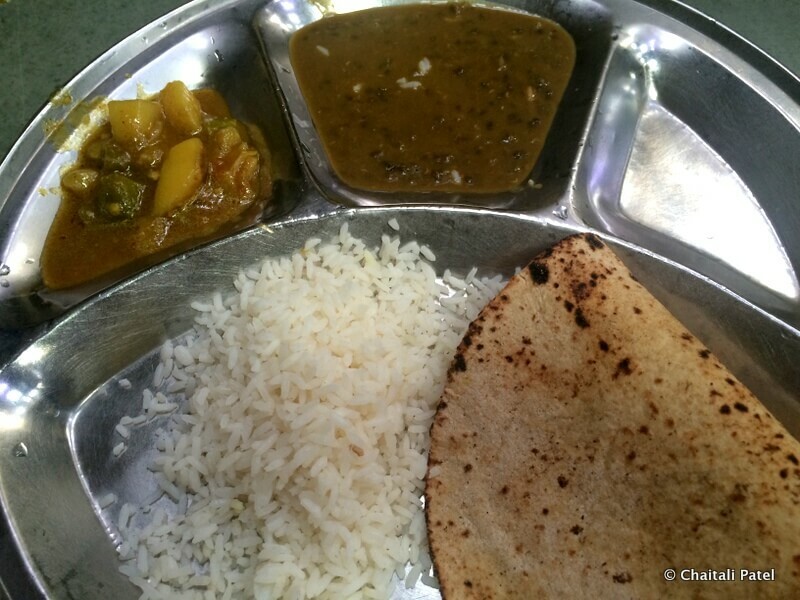 Langar or food made in the community kitchen, is served throughout the time the path goes on. At Hazur Sahib, at any given time, someone somewhere is doing the akhand path, so langar seva never stops! 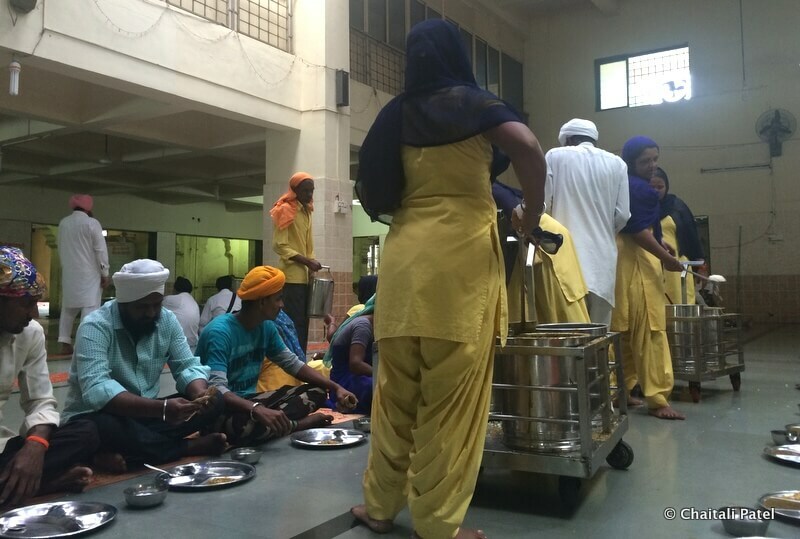 The idea of a langar is to provide free food to people, irrespective of their background, caste or religion. In the 16th century when Guru Nanak, the 1st guru of the Sikhs started the langar seva, it was a very powerful movement that sought to unite people at a time when Indians were deeply divided on lines of the caste system. As I walked in to have lunch in the community hall, I picked up my plate, spoon and bowls, and went to sit next to a man who from his clothes looked like he belonged to the Banjara community. My instinct was to leave a gap wide enough to seat another person between us, but I consciously told myself that I had to sit right next to him and that’s what I did. Service at langars is always brisk and efficient. We were served rotis (flatbread), rice, a aloo and capsicum gravy subzi (a vegetable dish made of potatoes and peppers), and mixed dal (lentils). The food was amazing! It was during my meal as I sat between the Banjara man and women who from their uniform looked like the people who were in charge of sweeping the gurudwara, I felt humbled and blessed! It was then that I realized that food does not differentiate between us, but it is us humans who make these demarcations. For the food on the plate, we were just all hands and mouths, and people who needed nourishment. The simple, delicious and nourishing meal that we were served! After the meal as I washed my hands and was looking around the kitchen, I saw a group of people chopping vegetables. In Sikhism, doing seva or selfless service is an important aspect of being connected to the almighty. People from all walks of life can volunteer in the community kitchen and help preparing and serving the langar. As I looked on, a young man sitting in the middle, asked me if I would like to join. There was an empty seat, which almost looked like it had been reserved for me. I spent the next half hour chopping doodhi (bottle gourd) from the gurudwara farms for dinner that night. 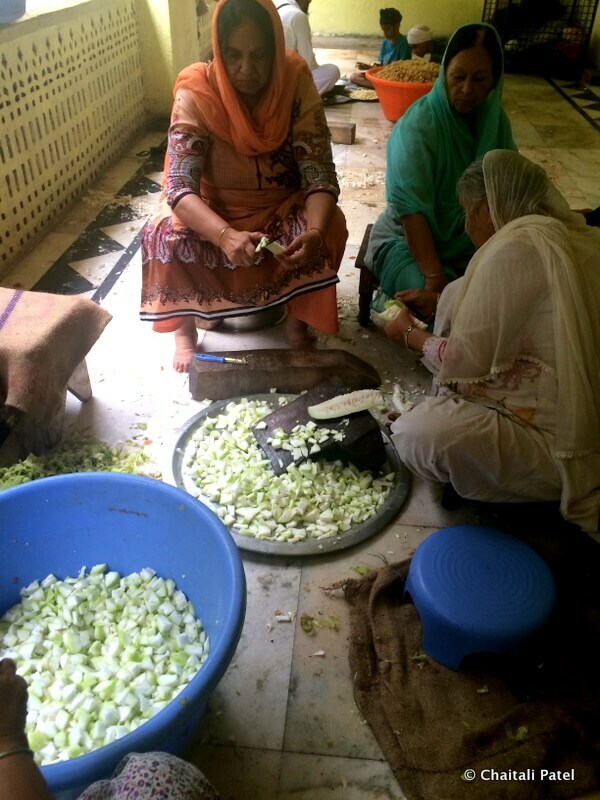 I was surrounded by elderly women from Delhi and Punjab, and one of them told me, that I was extremely lucky that I got a chance to do seva, and that she had come the previous day, but there was nothing going on then! Nanded is easily accessible by road and train both from Mumbai and Hyderabad. Overnight sleeper buses ply regularly between most major cities across Maharashtra and Nanded. Sachkhand Express is a train that connects Amritsar to Nanded via New Delhi. To find out about train timings and to book tickets visit the Indian Railways website here. Well written post and well clicked pictures. I am a big fan of Sikhs for the way they feed everyone, no questions asked! Do share the article when it comes out! Me too! I am drawn to the religion as I read and learn more about it! I will definitely share the article Mridula. Nice insights! The gurudwara reminded me of Golden Temple in Amritsar.